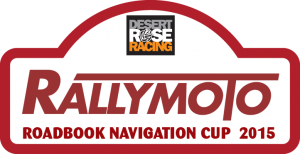 The RallyMoto club will be putting on a new round this year with the aim of substituting it for the Hafren Rally which has been cancelled. This new ATRC event will be the Tarenig Rally! From what we know so far it will be a technical course to give riders a good end of season challenge, but whatever it ends up being, I'm sure I'll enjoy being able to race another "home" round and you can be sure I'll be twisting the throttle all the way to the stop on this one! The Tarenig Rally is expected to run on the 28th of September.